"I didn't mean it to," Joss Stone adds with a cheerfully self-deprecating laugh, "but people just kept buying it." Some of those buyers were intrigued by the disc's surprising selection of rarely-covered soul gems. Others were converted by heavy VH1/MTV/MTV2 airplay for her first video, "Fell in Love with a Boy," or by Joss Stone's increasingly confident and exciting live shows. Still more were won over by her scintillating performances on NBC's "The Tonight Show" and the ABC network special Motown 45; and by the inclusion of Stone songs in such popular television series as "The West Wing," "ER," and "Third Watch." By the summer of 2004, The Soul Sessions was certified gold in the US (with sales in excess of 675,000 units) and had sold more than two million copies worldwide. The disc reached Number One on Billboard's "Heatseekers" chart in February 2004; breached the US Top 40 in April '04, and hit the Top Ten in thirteen countries around the world. Listen to the dynamic and assured performances that comprise "Mind, Body and Soul"—from the feverish first single "You Had Me" to the playful dance track "Don't Cha Wanna Ride" to the impassioned rock-soul ballad "Killing Time." Joss Stone "Mind, Body & Soul Sessions Live in New York City" DVD to be released December 14 (on S-Curve) features a concert captured September 9 at New York's Irving Plazza including covers of the White Stripes' "Fell in Love With a Boy" and a acoustic cover of Bobby Miller's "Dirty Man." Additional content on Joss Stone "Mind, Body & Soul Sessions Live in New York City" DVD: music videos for "Fell In Love With A Boy", "Super Duper Love" and "You Had Me." Mini-documentary filmed while traveling the US and Europe in 2003 & 2004. "Mind, Body & Soul" documentary video. Joss Stone will be Nov. 29 at ABC's "Jimmy Kimmel Live" . 7. Don't Cha Wanna Ride? A Clay Aiken Christmas DVD, A Clay Aiken Christmas on NBC at 8/7 pm - Wednesday, December 8, Clay Aiken: The Joyful Noise Tour. Clay Aiken welcomes guest stars Barry Manilow, Megan Mullally and gospel singer Yolanda Adams for his first solo television special! The holiday hour is filled with intimate performances set against a traditional Christmas backdrop, and includes songs off of Clay Aiken's new holiday CD: "Merry Christmas With Love". Featured performances include "Santa Claus is Coming to Town," "Have Yourself A Merry Little Christmas," and "Happy Holidays." Four-time Emmy Award winner Louis J. Horvitz executive produces and directs. Clay Aiken's holiday CD made history by selling 270,10 units in its first week, making it the biggest debut week sales figure for a Christmas album in the SoundScan era. The CD debuts at No. 4 on The Billboard 200, the highest debut for a holiday album in six years since Celine Dion. In addition, "Merry Christmas With Love" is Clay Aiken's first Christmas CD. The follow-up to his triple-platinum album "Measure of a Man," the holiday set features classic Christmas songs like "Silent Night," "Winter Wonderland," "The Christmas Song (Chestnuts Roasting On An Open Fire)," and "Sleigh Ride," as well as some of Clay Aiken's personal favorite tunes of the season, like "Don't Save It All for Christmas Day" and "Mary, Did You Know?" He also covers Sandi Patty "Merry Christmas With Love." Clay Aiken's holiday album was produced by Walter Afanasieff and Phil Ramone. The Clay Aiken Christmas DVD is in Stores December 14 (on RCA Records). Featuring all the showstopping performances from his December 8 NBC Special: "A Clay Aiken Christmas on NBC", plus never before seen exclusive footage from behind the scenes! Includes songs from his new CD: "Merry Christmas With Love". A Clay Aiken Christmas DVD: ORDER IT NOW. Madonna Tassi "Christmas Tree of Hope". Madonna Tassi's "Christmas Tree of Hope" was recently released to country radio stations. Free download to visitors to ChristmasTreeOfHope.com who make a contribution to Boys and Girls Club, Children's Miracle Network or the Salvation Army through December 31st. Up and coming country music singer/songwriter Madonna Tassi believes that Christmas is the best time of year for giving, so she's teaming up with IMMI Records to give away a special song that she co-wrote with Destiny Music's Antonio Pulsone to benefit three outstanding charities. The song showcases Madonna's extraordinary voice, which is both sweet and powerful. The charities are the Boys and Girls Clubs, the Children's Miracle Network and the Salvation Army. A donation to any one of the three organizations will get visitors to ChristmasTreeOfHope.com a free download of Madonna Tassi's new single on IMMI Records, "Christmas Tree of Hope." "I picked these charities because they all have the mission of offering HOPE to the people they serve," said Madonna Tassi. "While they all provide much-needed services, giving hope for a better tomorrow is one of the greatest gifts one can offer those in need." Madonna Tassi adds, "Christmas is my favorite time of year, and I love the idea of giving away a song that has the potential to touch so many different people, givers as well as recipients." "Christmas Tree of Hope" was produced by notable Nashville producer Norro Wilson, who has produced hit records for country stars such as Kenny Chesney ("No Shoes, No Shirt, No Problems"), Reba McEntire ("Room to Breathe"), Con Hunley ("Sweet Memories") and projects for Sara Evans, George Jones, Shania Twain and Charlie Pride, among others. 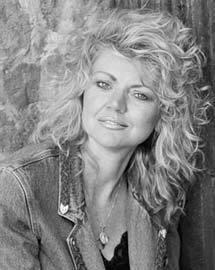 The single was released to country radio just before Thanksgiving and stations are being encouraged to direct listeners to the ChristmasTreeofHope.com web site to download the song through December 31st. Kenny Chesney "When the Sun Goes Down" new album: ORDER IT NOW. WFUV releases "City Folk Live Volume VII" compilation feat. Joss Stone, Jamie Cullum, Rickie Lee Jones... 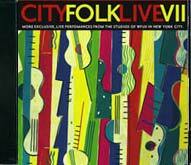 Influential New York City public radio station WFUV (90.7 FM, WFUV) releases the seventh volume of City Folk Live, a compilation of live in-studio performances recorded at WFUV's famed Studio A, on November 24, 2004. City Folk Live captures the American radio debuts of The Thrills, Joss Stone, Jamie Cullum, Rachael Yamagata and Ricky Fante. Available at the $90 membership level with the Sampler CD; at the $120 level with a Time Out New York subscription; or at the $240 level with the WFUV Fleece Scarf. Payment options for the $120 and $240 options include a monthly installment on your credit card. You can listen to 30-second samples of the songs with Windows Media Player (32K) and order it at this address. 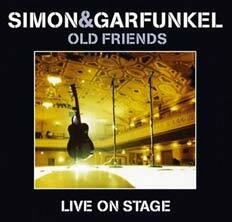 Simon & Garfunkel "Old Friends Live on Stage" 2-CD and 1-DVD set is released November 30 (Warner Brothers). For an entire generation, the concert event of the new millennium was the 2003 Old Friends tour from Paul Simon and Art Garfunkel. Their first national concert tour in two decades, performing songs that rank among the most memorable of the ’60s, was a sold-out sensation in more than 30 cities across the country. Now many of those unforgettable performances are heard on the 2-CD set "Old Friends Live On Stage," as well as a DVD and a Deluxe Edition with both the DVD and the CDs. The songs of Simon & Garfunkel have never sounded better. Simon & Garfunkel "Old Friends Live on Stage" two-CD plus DVD live set (recorded in December 2003 at the Meadowlands and Madison Square Garden) shows their musical chemistry has transcended the years--and no small amount of acrimony. But while their '80s live reunion was marked by an aura of celebration, this one floats on an undercurrent of bittersweet resolve. There's no mistaking the elegiac tone of the title track, while stark readings of "Hazy Shade of Winter" and "Sounds of Silence" can't help but evoke the scars of 9/11. A musical circle is completed as the Everly Brothers step in for a joyous "Bye Bye Love," while elsewhere Simon's musical restlessness inspires a subtly jazzy reworking of "Slip Slidin' Away" and Garfunkel adds his stately grace to his partner's "American Tune." The album concludes with S&G's first new studio recording in 30 years, the plaintive, irony-studded plea, "Citizen of the Planet." Huey Lewis and The News DVD for their 25th Anniversary. Huey Lewis and The News are going to be filming a DVD on the occasion of their 25th Anniversary!! The filming will take place on December 14 and 15 in Chico, California, at "The Sierra Nevada Brewing Company." For tickets and information, folks can call the brewery at (530) 345-2739. Exciting times ahead!! No further details are available at this time. Huey Lewis, whose real name is Hugh Anthony Cregg III, (born July 5, 1950) is a musician and singer. He does lead vocals and plays harmonica for his band Huey Lewis and The News, a Rock group based in San Francisco, California that was particularly popular during the 80s. He also played with the band Clover from 1972 to 1979. He attended the Lawrenceville School in New Jersey, and spent one year at Cornell University where he majored in engineering. Huey Lewis and The News' third LP, "Sports" (1983), was one of the best-selling pop releases of the 1980s. It was followed up by another big seller, "Fore!" (1986). In 1985, Huey Lewis had a cameo role in the popular film "Back to the Future," and he had two songs on the soundtrack, including the hit "The Power Of Love". In the mid-1990s Huey Lewis was in the movie "Short Cuts," and in 2000 he starred in "Duets" with Gwyneth Paltrow. In "Duets," Huey Lewis and Gwyneth Paltrow did a rendition of Smokey Robinson's "Cruisin'". His mother, Magda Cregg, was the partner of the poet Lew Welch. 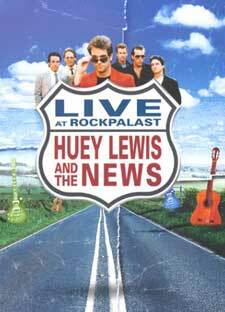 Huey Lewis & The News "Rockpalast Live" DVD: ORDER IT NOW. Band Aid 20 "Do They Know It's Christmas" CD, Band Aid 20 goes on sale . HMV is opening the doors of its flagship London store one hour earlier, at 8AM , to allow people to buy copies on Band Aid 20 "Do They Know Its Xmas ?" on their way to work. HMV's Gennaro Castaldo said it could sell a million "if it captures the imagination like the original. In 1984, people bought multiple copies to give to family and friends as presents. If the same happens this year, sales could even exceed two million. Band Aid 20 is easily the biggest release since Elton John's Candle In The Wind tribute to Princess Diana." Band Aid 20 "Do They Know It's Christmas" CD will be released worldwide Nov. 30 (on Universal Int'l)... Band Aid Twenty Years After. More than 13m see Band Aid debut video in United Kingdom. It was shown simultaneously on BBC One, BBC Two, ITV1, Channel 4 and Five. The figures do not include Sky One or the other digital channels which showed it. Pop star Madonna, who does not appear on the track, urged fans to "feed the world" before Thursday's screening. The single "Do They Know It's Christmas" is due to be released on Monday 29 November. BBC One was the most watched terrestrial channel while the video aired, with 3.9m viewers, according to unofficial overnight figures. Madonna's introduction began: "Twenty years ago, I performed at Live Aid and the world watched. You saw me and my generation demanding a change. "Once again, here we are 20 years later," she said, over images of starving African children. "More people die of hunger in Africa than war and Aids put together. "In a world of plenty, it is hard to imagine that most African children will go to bed tonight hungry. "Bob Geldof and his friends are here to remind you that we can never forget. Not ever. Feed the world. I am honoured to introduce Band Aid 20." The song, a remake of the 1984 original, was recorded on Friday, Saturday and Sunday by more than 50 artists including Joss Stone, Dizzee Rascal and The Darkness. It is tipped to be the Christmas number one, but bookmakers have shortened the odds on the track's long-term success after it received lukewarm reviews. The single, which also features Bono, Sugababes and Will Young, was made available to download from the internet on Thursday from a number of music services that will donate proceeds to the cause. It is also being launched as a charity mobile phone ringtone with proceeds going to the Band Aid Trust, which is supporting food aid to the Sudan's troubled Darfur region. Band Aid 20 - Who sings what? 1. 2004 Version - "Do They Know It's Christmas"
2. 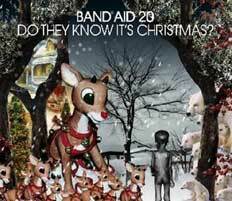 Original 1984 Version - "Do They Know It's Christmas"
Band Aid 20 "Do They Know It's Christmas" CD: ORDER IT NOW. The band The Eagles are in Australia for a Tour that will end December 4, at which they have been performing the new songs "No More Cloudy Days" and "One Day at a Time.". Eagles "Box" 9-CDs (limited edition): ORDER IT NOW. Doobie Brothers and Michael McDonald? (11/22/04) -- While some band break-ups are so damn dramatic, when Michael McDonald left the Doobie Brothers it was no big deal. He says he pops on-stage with the group from time. Just something to look, and hope for, next time the Doobies come to a stage near you." The Doobie Brothers "Live at Wolf Trap" DVD (release date: Nov. 9, 2004): ORDER IT NOW. 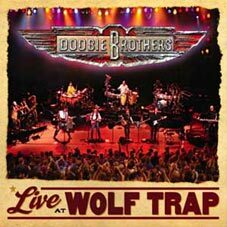 The Doobie Brothers "Live at Wolf Trap" CD (release date: Nov. 9, 2004): ORDER IT NOW. Alicia Keys helps Keep A Child Alive, HIV positive and AIDS children in Africa. Alicia Keys is urging fellow American celebrities to follow in her footsteps and sponsor HIV positive children in Africa. The multi award-winning artist, who sponsors two children and two women through the charity organisation "Keep a Child Alive," says that she is very happy with the progress that these AIDS patients have made and she wants others to know how simple it is to make a difference. "I also sponsor two mothers, Anne and Veronica. Before Keep A Child Alive came to the clinic, no one had access to treatment. I've seen pictures of the four people I'm sponsoring before and after their treatment - and, at first, they looked emaciated and beaten down. Today they are happy and healthy and living positive, hopeful lives," Female First quoted her as saying. It blows me away, because it was so easy to do something so incredibly important. Now I'm trying to involve as many people as possible in combating this pandemic. I've written to celebrities like Halle Berry and Cher, who is looking to sponsor five mothers and their child," she added. Alicia Keys will host An Evening With Alicia Keys and Special Guests, a Worlds AIDS Day benefit to be held at New York's Angel Orensanz Center. The December 1 concert will feature performances by Keys, Common and Angie Stone. Proceeds will benefit Keep a Child Alive, an organization dedicated to providing life-saving medicine to children and families with HIV/AIDS. Alicia Keys encourages support of Keep a Child Alive, which has established treatment programs in Kenya, South Africa, Uganda and Rwanda. Other artists affiliated with the group include Rod Stewart, Good Charlotte, Cher, Nelly, Josh Groban and Avril Lavigne.